The UK Foreign & Commonwealth Office (FCO) provides up to date information and foreign travel advice on health, safety, security and local laws as well as current passport and visa information at www.gov.uk/travelaware to help British travellers make informed choices about travelling abroad and to be prepared for an overseas holiday. For the latest travel advice from the FCO we strongly recommend that you check www.gov.uk/travelaware at the time of booking and closer to departure as well as following @FCOtravel on Twitter and at Facebook.com/FCOtravel on Facebook. Take a look at the UK Government’s handy summary of the basic Travel Aware Essentials you need to consider when travelling abroad. Merry Christmas & a Happy New Year From all of us at RTC Travel. Thanks you for your support this year and we hope the same again in the new year. RTC Travel Consultants are an established company offering professional travel advice and services to a wide variety of clients. Our holidays include; weddings abroad, luxury holidays, sports holidays abroad, city breaks, winter holidays & tailor made holidays. Many of our clients are busy professional people who don’t have the time, and may not have the inclination, to find the best luxury holidays at the best prices including tailor made Kuoni holidays. That’s where we come in, our team of experienced professionals do the hard work, and report back to you personally. You are not just a number being worked on by one of many call centre staff; we take pride in our close customer relationships. We understand how important your wedding day is, and provide a personal service dedicated to ensuring you have the perfect wedding abroad. What about a Cyprus wedding or Antigua? Your honeymoon should be the time that you do exactly what you want to do. So why go through the stress of finding the package holiday that is ‘almost’ what you want.What about a wedding in Kenya & honeymoon safari..
Do you fancy skiing or snowboarding in North America, Canada, Europe or even Scotland. Try our Winter Sports Holidays where we can offer the best in snowboarding and skiing holidays in a wide variety or worldwide destinations to suit most budgets. Read more about our Skiing Holidays or if snowboarding is more your thing, look at our Snowboarding Holidays we have available. For people that love water sports we have some great waterskiing and wakeboarding holidays available at various destinations including Australia and the Caribbean. 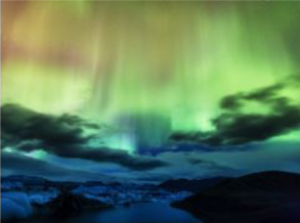 Famous for its volcanic landscape, geothermal pools and Aurora Borealis, making it the perfect place for a short break.